Capital formation is a process that is vital to help facilitate economic growth. 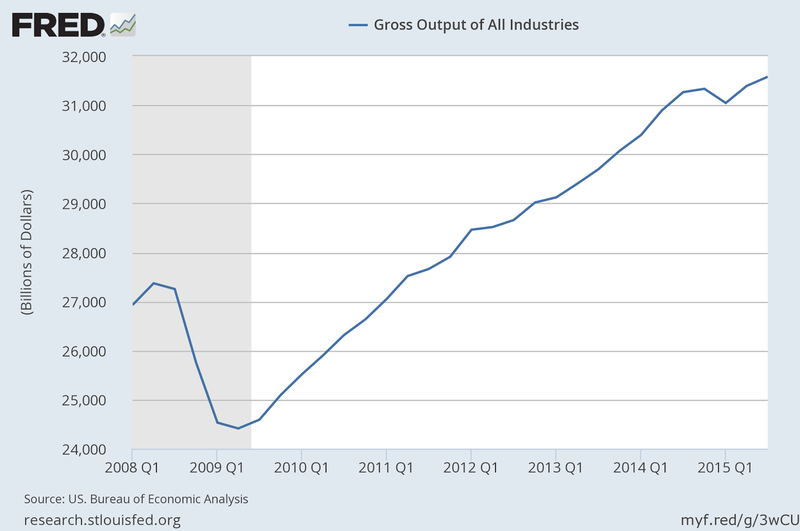 With an upward trend in economic growth, new jobs can be created, technology, innovation, and etc. With regards to the concept of Capital, it comprises many items, viz: Money, equipment, Real Estate, machinery, etc etc. With regards to this article, the focus of Capital Formation will be simply cash and its equivalents. It all starts with human action. Humans seek to improve their circumstances via voluntary exchange. Voluntary exchange takes place, as the actors in the marketplace continue to produce and trade. In this process, humans will seek to place some "capital" aside. They may place it in a mattress, coffee can, a hole in the backyard, a pillow, or with a financial intermediary. Some examples of a financial intermediary are as follows: A bank, credit union, investment brokerage, and insurance company. Once the actors begin the process of production, some of the "savings" goes into the bank. This is the start of the process on how capital is formed. As actors in the market begin to produce and engage in Voluntary exchange, the money is stored in a financial intermediary. Financial intermediaries, in turn, seek to "grow" their capital base. This base comes from the depositors. The financial intermediary seeks to market loans to others in the market place. These loans, limited to the scope of our analysis, are used to help business owners acquire capital equipment, fund labor, purchase real estate, and other economic inputs. 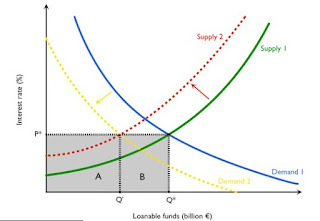 The concept of the natural rate of interest is derived from the Law Of Marginal Utility. In short, it is the ratio between present goods and future goods. With that ratio, and other factors(risk, etc), the financial intermediary charges interest for borrowers. Another point to add: it is indicative of the temporal preference of things on the individual's utility ranking. Each of our actions precede the next action. Those actions we select first are preferred over the latter actions. If those actions involve some voluntary exchange, with prices used in the exchange, the interest rate can be calculated...somewhat. In our analysis, the actor simply defers his capital for present consumption and places it into a financial intermediary. For those who use the bank to store capital, the bank provides an interest rate on those monies. This rate of interest acts as a signal to the actors in the marketplace, as it is tantamount to a price. The rate of interest will fluctuate as the actors are constantly moving towards an over all equilibrium. In an un hampered market, all the actors in this scenario, seek to balance present needs vs future needs. With the process of capital formation, it begins with productivity. The actors involved in the labor market place aside some of their earnings, as they prefer to use that portion for future consumption. In turn, financial intermediaries loan out monies from this capital base to business owners, individuals and the like to help them acquire assets. Central Bankers Are Wrong About Inflation and Deflation: The majority of economists view deflation as a general decline in prices of goods and services. This is viewed as a major threat to the public’s well-being for deflation is seen as a major factor that plunges the economy into an economic depression. The Method of Mises: A Priori and Reality: Aprioristic reasoning is purely conceptual and deductive. It cannot produce anything else but tautologies and analytic judgments. All its implications are logically derived from the premises and were already contained in them. Note: Immanuel Kant's influence is seen in this excerpt. US Job Growth Rate Hits 28-Month Low: The Bureau of Labor Statistics released new employment data today, and nonfarm payroll employment increased in May be the smallest amount seen in 28 months. 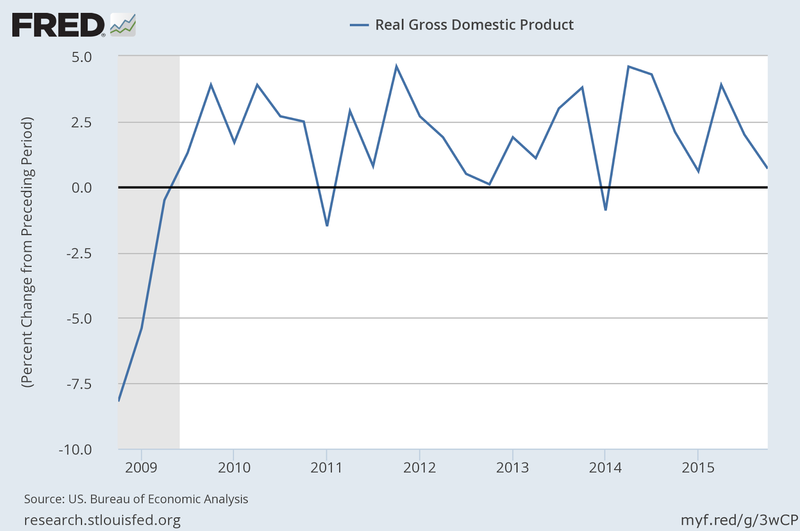 The Week in Review: June 4, 2016: Today’s jobs report placed US job growth at a 28-month low, another illustration of how fragile the American economy truly is. You lost your job. Life can send us curve balls at times. However, we can still recover. During the recovery process, while you are looking for another job, do not forget about your money. Many think that leaving the money in the prior job 401k(or similar plan) after being fired, is the prudent thing to do. Nothing can be further from the truth. Who is better at managing your hard earned cash? You? or your prior employer...the one who just fired you? It is a simple process to move those monies, tax free is an added benefit, from your old employer's 401k(or similar plan) to your personal retirement account. The simplest way is to transfer those funds, is to transfer them to a traditional IRA. This account functions, with regards to taxation purposes, just like the 401k type plans--making the transfer is quite simple, and it is easy to complete. Since the IRA is only the qualified tax plan, however, there are a variety of financial services tools that can be used inside the IRA to build monies for retirement. Suppose you want to transfer the monies to a Roth IRA? Or, you are seeking to be more creative, and you wish to transfer the monies to another sort of retirement vehicle? This will trigger a taxable event, as the Roth IRA does not function like a Traditional IRA, or a 401k plan. With a Roth IRA, taxes are paid on the monies prior to the contribution to the IRA, yet at the time of the withdrawal of those monies, at retirement, the funds are not taxed. 401k type plans work in the inverse: The contribution into the plan receives a tax benefit, but the withdrawal monies, at retirement, are taxed as earned income. This can be done, just realize there is a taxable consequence to consider. Just like the traditional IRA, there exists many different financial services tools to use inside the Roth IRA to help accumulate wealth for retirement. Losing a job can be a downer. However, do not leave your retirement monies with your old employer's 401k plan. It is a painless process to move those monies out of that plan, into a plan that you control. Move those monies, and then focus on getting another job. When you decide to move your monies, always develop a financial plan to follow to ensure that you meet your financial goals. Free Trade: The process that benefits us all. Many political knaves rant and rave about having trade deficits with other nations. They speak of the "trade imbalance", and something must be done to "protect American" interest. To those who are not steeped in the understanding of economics, this argument, prima facie, seems plausible. However, this polemic, quite frankly, is balderdash. The ones, who seek to intervene in the process known as Free Trade, simply lack the economic understanding of some fundamentals. 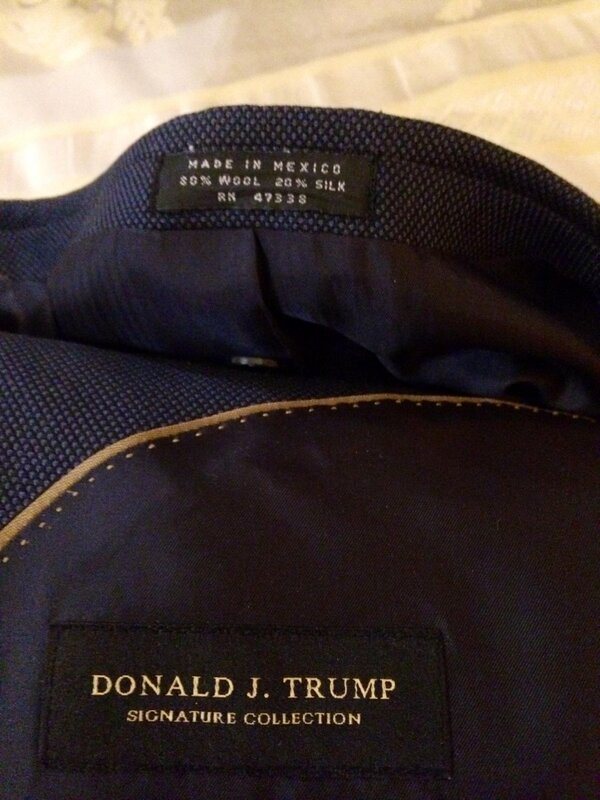 When one purchases an item from the store, that product may have been made in China, Mexico, Vietnam or some other country outside of the U.S. However, that product was sold by an individual, not a nation. That "individual" maybe a corporate entity, but the fact still remains the "nation" did not "sell" this product. Once one begins employing economic analysis, with the notion that we trade with nations, it becomes quite apparent this position is false and misleading. Individuals purchase products based upon their desire to pursue their individual objectives. Private firms go into business to earn a profit. This profit is used to expand the enterprise, pay back investors, etc. etc. Customers purchase these goods to benefit their well-being. This fallacious notion of a "Trade deficit" is as old as the hills. The entire notion of mercantilism embraced by the elites believed a nation's wealth was based on the amount of Gold it held. If there was a imbalance of trade with respect to Gold, typically this imbalanced was made "balanced" by employing some sort of tax or tariff on foreign goods. Many of the classical economists, such as Adam Smith, David Ricardo, David Hume and others, argued vehemently against mercantilism, as they believed it was detrimental to the citizens of the "mother" country. Fast forward to the 21st Century, mercantilism still is alive and well. Modern believers in mercantilism want to "punish" China, for example, for selling their goods at a lower price. Using their logic, American consumers should pay higher prices for goods. These modern acolytes of the mercantilism cult do not say this explicitly, however, their desire to have tariffs demonstrate that these folks want that objective. The use of tariffs simply restrict the inventory of that said good in the marketplace, and with the same level of demand, prices will rise. With respect to the notion of a trade deficit, this myth has been addressed on this blog ad nauseam. Let us take the example of China. Many Presidential candidates, specifically Donald Trump, claim that China has an imbalance of trade with the United States. If trade is simply measured on the same goods that are sold to the buyer, and if the seller buys those same goods from the buyer, then there will be a trade imbalance. Simply put: I purchase bananas from my grocery store. Yet, my local grocery store does not purchase bananas from me. Thus, there is a trade imbalance, in terms of bananas. However, the dollars, which act as a measure of accounting, demonstrate that there is no trade imbalance. If you pay $1.00 for bananas, the store receives the $1.00, you receive the bananas. It all balances out using regular bookkeeping logic. Also consider this: Both parties value their items differently. The Store values the dollars more than the bananas, and the buyer values the bananas more than the dollars. Both parties win. While this seems to be a simplistic example, this holds true at the macro level. Chinese firms sell their goods or services, and in exchange, we give those firms our US dollars. The Chinese firms can re-invest those dollars and expand their enterprise; this benefits them in the present and the long run. The US Consumer has the pleasure of obtaining a product to enjoy. In the notion of free trade, both parties benefit. Trade deficit between States in the United States? Since these politicians seek to speak ill of the "trade deficit" between China and the United States, why not complain about the trade deficit between States? Or between counties? Or between Cities? Is it right to argue that Nevada has a "trade deficit" with regards to Gambling, as compared to Utah? Is it wrong to argue that Idaho has a trade imbalance with regards to potatoes compared to Texas? No one would argue for such foolishness. Yet, this argument is equally as risible as arguing about the trade imbalance between China and the US, or the US and any other nation. Having a trade deficit with China, or any other nation, is simply a mythology. We have a trade deficit with our local grocery store, Gas station, Electronics Store, and the like, since none of those stores buy from us those exact same goods. Yet, in exchange, they take our dollars for those goods. This eliminates the "deficit". Also, we never hear about a deficit between states, or cities, or counties. This sort of speak is simply reserved for histrionic talk to get voters emotionally engaged to a particular candidate. The current crop of political candidates are lamenting on the trade imbalance. For example, the United States, as per the political candidates, has a trade imbalance with China and other nations. Is this an accurate assessment? How can a trade between two parties be imbalanced? With Trade, it is an imbalanced transaction. For example, if two parties are engaged in a trade, let us state it is for eggs from a grocery store, the grocery store owner values the eggs less than the dollars given to them by the customers. The dollars hold a higher value than the eggs, if the eggs held a higher value, they would not be sold for that said price for those dollars. Conversely, with the customer, the customer values the eggs more than the dollars given to the store owner. When politicians scream about the "Balance of trade", this is a false claim. It is based in the old mercantilism argument that trade must be "balanced", and if not, dire economic consequence must follow. I have shown, on this web site, with this article, that this matter is of no concern. Both sides benefit from the trade, yet both sides value their respective trade items differently. However, from an accounting point of view, the trade is balanced. Why is this myth still around? There is a variety of reasons this myth still exists. However, the primary reason is the following: Many politicians view themselves as a dues ex machina with the citizens. When unemployment hits hard with some citizens, these citizens lose their jobs, or the company goes bankrupt--they are searching for reasons to explain their loss. Enter the politician: He comes in with a cacophony clarion call to appeal to these lost souls. His reasoning is rooted in a xenophobic message, while simultaneously saying that "I can make America great again!". These message resonates deeply with these individuals, creating an emotional connection. Once this politician is elected, and he implements higher tariffs, price controls, and the like, for example, it simply makes matters worse. 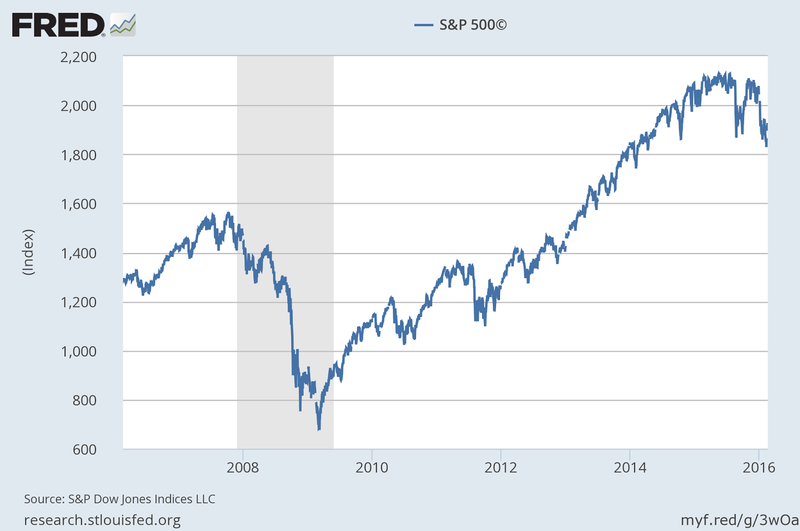 Many investors use the S&P 500 as a means to invest their retirement funds. There are financial services products that can be used for retirement, that utilize the S&P 500 as a means to grow retirement funds. The new growing trend: People utilize Fixed Life insurance contracts to accumulate wealth. These contracts allow one to have their cash value receive "credits" based on the performance of the S&P 500. Another point: If the S&P 500 loses money, the insurance company still guarantees no loss of the principle. (cash value). Call me directly to see how this product can help you obtain your financial objectives. A fellow Slide Share member posted up this presentation regarding planning for retirement. The provides an excellent way of dealing with the issues surrounding building wealth for your retirement years, and how to maintain that wealth while living during those golden years. The graphical trend of GDP since 2008. While it has improved since 2008, the economy is still somewhat stagnant, as per this graphical display. Of course, other items must be analyzed while looking at economic growth. Recall: GDP is the final numbers, not the purchases of the intermediate goods for the production process. With Gross Output of all industries, it shows intermediate goods purchases, some that are included in the GDP number. These purchases are typically purchase of goods or inputs prior to the final sale of the products. 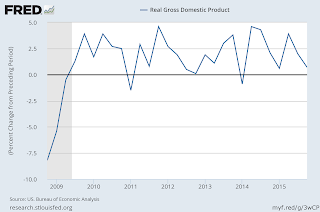 The GDP number reflects the final sale, the GO numbers, for the most part, are pre sale to consumers. The concept of negative interest rates, already adopted in Japan, is now under serious consideration in Europe and the US. Here to make sense of this bizarre environment is Paul-Martin Foss, head of the Carl Menger Center and a regular contributor to mises.org. Currently, investors are in a quandary on where to invest their money. So many experts are providing a farrago of ideas to invest their money, as this creates even more uncertainty with most investors. This creates an austere position with investors and their cash. While all of these maybe viable options, there are some macroeconomic concerns that need strong consideration before doing any sort investing. 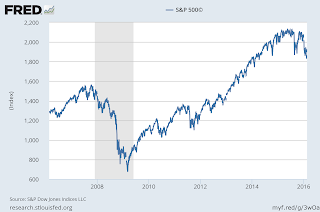 Is there another Market Correction imminent? Many experts feel another “bear” market coming along. They feel this many reasons, but I will limit it to simply a couple reasons in this article. First of all, the yield curve between short term Government debt and long term Government debt is shrinking. As per the Expectation Theory, any time the yield curve begins to “invert”, this means that a market correction is near. Up until recently, the fed has kept interest rates historically low. Based on the Fed’s logic, this is to help stimulate the economy. The Fed has also performed other sorts of strategies to help jump start the economy, as Operation Twist is an example of this. In short, Operation Twist purchased Government debt, over time starting in 2008. Now, there is a large amount of Government debt residing on the Fed’s balance sheet. What is the exit strategy? How will these bonds get unloaded? If the Fed continues to raise interest rates, how does this alter the exit strategy? Currently, by expanding the money supply, this impacts retirees, as this is a recipe for inflation. The United States has a large number of baby boomers reaching retirement age. How this plays out is very uncertain. With the Presidential and Congressional races upcoming, fiscal policy will be altered. How will taxes play a role with the new President and new members in Congress? If taxes are raised on the “rich”, this will impact the economy. Typically, the “rich” are individuals who still trade time for dollars. In this case, this will also include retiring baby boomers. Another consideration: Obama care. How will the economic costs play out for this program? These are just some random thoughts as we progress through 2016. If you are not reviewing your economic plan, start this process immediately. Contact us to see how you can properly navigate through the tempest of marco economic concerns. Your financial plan can be a bulwark against these financial storms. The Federal Reserve’s growing balance sheet is a major concern for professional investors. However, it should be a growing concern for main stream investors, and it should be a concern for folks looking at retirement in the near future. Why should this be a concern for individuals attempting to accumulate wealth for retirement, and seeking to use their retirement funds to enjoy the golden years? What other concerns should individuals have while planning for retirement? The Federal Reserve’s balance sheet has grown since the Great Recession of 2008. The Federal Reserve began purchasing US Government Debt instruments via programs such as Operation Twist. When the Fed purchases Government debt (Bonds), it does not purchase them directly; it purchases them via a 3rd party dealer. This purchase, in turn, increases the money supply. The Fed creates the cash, from a computer entry, and the purchase occurs. Due to the rules of the fractional banking system, the money supply is increased once that purchase check is deposited. Eventually, the Federal Reserve must have an exit strategy to deal with this debt from the growing balance sheet. What is the strategy? Raising interest rates? Selling off the debt? What is it? Recall, for readers who frequent this blog, the definition of inflation: It is the increase of the monetary stock or base. The monetary base is increased, as the Fed continues to purchase more US Government Debt. Inflation impacts individuals that are on fixed incomes, which are typically retirees. As the monetary base is debased, the ability for retirees to spend dollars on goods and services alters dramatically. This means that retirees must have the ability to have their investment dollars outpace inflation. Analysts love to cite the CPI as a measure of inflation; however, this is not an accurate measure of inflation. Looking at various factors, such as commodity prices, is one way of looking at inflation. Food prices should be analyzed as well, with regards to looking at inflation. While food prices, as well as commodity prices have dropped considerably since 2008, they are still higher than they were 10 years ago. Currently, the individual savings rate is around 5.5%, as of December 2015. Since the 1950s, the individual savings rate has shown a downward trend. This is an interesting trend. From an economics perspective, savings is needed to expand the economy and spur economic growth. If the savings rate is down, this could be a harbinger for things to come. As a retiree, one must review their stocks accordingly. Should my equities include companies that are seeking to expand? Can they expand if there is a declining savings rate? If this is the trend, how should one manage their portfolio? One should consider that all sorts of tax increases could occur; this is to include an increase with Estate Taxes. No one knows for sure if this will happen, however, there needs to be a plan in place to deal with this tax risk. Saving retirement in this economic climate will be a challenge. All of these aforementioned items must be considered while designing a plan for retirement. These risks are real concerns, and building an solution to protect and grow your hard earned cash should be the objective. This can be done, as there are solutions to mitigate these risks. If you are at retirement age, these things, and many other items, should concern you. Attempting to mitigate your tax liability, while at retirement, should be one of the top priorities in dealing with your economic plan. Ideally, having a Tax Free retirement should be the objective. Barro, J. (2016, Febuary 9). Bernie Sanders' Plan Would Test an Economic Hypothesis. New York Times. Nolte, J. (2015, September 28). Trump Pushes Single Payer Healthcare, Tax Increases on the Wealthy. Breitbart. The Single Biggest Benefit in the Federal Tax Code? Most people focus on the income tax free death benefit that life insurance provide. However, there are many other benefits that Life insurance can provide, while one is alive. Life Insurance can provide a means to build wealth tax deferred. Similar to a 401k or an IRA, a permanent life insurance contract grows the cash value tax deferred. However, the IRS does not provide restrictions on when these funds can be withdrawn. Also, at retirement, the funds can be accessed income tax free. Life Insurance Costs are really paid by...Uncle Sam? As the cash value grows, the true amount that is being insured by the insurance company is the net difference between the total cash value and the face amount. As previously stated, the cash value is growing tax free, thus the insurance costs are being covered by the IRS. This is a win-win for those utilizing this wealth building strategy. With Life insurance, the owner of the policy has more control. Compare this to a typical retirement account(e.g 401 k, IRA, and the like), there are more restrictions and penalties with regards to accessing the monies in these account. With life insurance, one can withdraw monies, in many cases, without penalties, at any time. This assumes, of course, the monies are available. The over all point still holds: The owner has more control over his hard earned cash. Life Insurance, with the use of leverage, allows one of the best vehicles to build wealth over the long haul. One dollar in a life insurance policy can do multiple things: It can work as a cash accumulator, it has a death benefit pay out, it can pay out long term care benefits, it can grow tax free, the death benefit is passed down tax free, and on and on. All with simply the same dollars placed into the policy. Whereas with an IRA or 401k type account, it does not have multiple uses with that same dollar. Having a solid life insurance program is a vital cornerstone in anyone's wealth building program. With these benefits, and many more, a solid life insurance policy can turbo charge one's wealth. It is typically overlooked, but it should be taken more seriously when placing together a financial plan. It seems the Central Bank in the Euro Zone is continuing to embrace the notion of negative interest rates. The notion of the natural rate of interest is based in the individual's time preference of their utility ranking. In English, this simply means that all of us rank things that we are going to consume from lowest to highest. Of course, since we are limited to only 24 hours in a day, many of those preferences must be done in the future. That is the foundation of interest: The net between things consumed in the future, as compared to those things consumed in the present. This notion is the foundation of many theories in finance and business. The notion of interest helps price out long term loans, debt, and large long term capital projects, just for starters. Business owners need to have the ability to price things, in the present, in the terms of future prices. They can adjust these present prices in the terms of the future based on a calculation using the interest rate. You maybe asking yourself, "How does the notion of negative interest rates fit into this definition?" Answer: It does not. It is against nature. Yet, these central bankers will continue to push for "negative" interest rates simply to stimulate the economy. Think of it this way: The lower the central bank pushes a form of price control by using negative interest rates, this will encourage more consumption, in the present. Long term capital projects will not happen, shorter term projects will take place. Savings and hoarding become extinct. Without proper savings, the economy can not expand and grow organically. This will lead to many asset bubbles, market swings, and crashes. Of course, this impacts the Euro, as it will debase the Euro. All of this makes the Dollar, and commodities, look sweeter for folks who have the euro. Many folks have concerns about inflation and deflation. Addressed below are questions submitted by the vox populi regarding this topic. Before addressing the questions, the definition of inflation and deflation must be addressed. Inflation is the increase of the monetary base. If the central bank decides to increase the money supply, this is inflation. Who is negatively impacted greatly by inflation? When inflation occurs, it increases the monetary base. Once the monetary base has increased, it makes the next monetary base unit less "valuable", on the margin. The net result is that the currency because weaker, it it loses its ability to store value for consumers. Individuals who are are on a fixed income, such as retirees, savers, and the like are impacted greatly by inflation. Individuals who are creditors are impacted by inflation as well. Why is this the case? When someone creates a debt, it is based on today's dollars, but the interest rate helps adjust the total amount paid to future dollars. If inflation occurs, the interest rate on the debt is fixed, it does not adjust to the increase in the money supply. So, those future dollars maybe less valuable if there is inflation, and the interest rate on the debt does not account for this. There are various strategies to mitigate against the risk of inflation. Some advisers suggest purchasing Gold, Silver or other commodities to hedge against inflation. Many also invest into equities, as this can be a way to deal with inflation. Others may look into Real Estate investing, as this is a popular method to deal with an increasing currency supply. While all of these methods, and many others, are appealing, they have their own risks. The main takeaway is to make sure one is educated on how to invest into these various investment classes. The Trade Deficit, according to the politicians, needs to be handled. 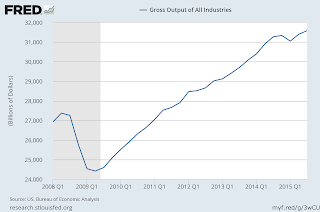 It is the inhibitor of the growth of the United States economy. Many claim that, for example, that China has a trade imbalance with the United States, and this imbalance is impacting our economic growth. While this makes for grand kabuki theater, this sort of statement does not pass the economic sniff test. In reality, free trade benefits both parties engaged in the trade. The purpose of individuals participating in trade is to improve the situation of the two parties in the respective trade process. In economics, this is called "utility seeking" behavior. During the process of a trade, both parties are giving up something that has a lower value, or lower utility, to obtain something that has a higher value(utility). Of course, this means the trade is unequal, due to the fact that value rankings are subjective to each individual. For example, if someone is purchasing a meal, that customer prefers the meal over the dollars for that meal. Also, they prefer what other things they could purchase with those same dollars, at that time. On the other side of the transaction, the business owner selling the meal prefers the dollars from the customer over the meal being sold. The business owner seeks to use the dollars from the sale to do other things. This transaction is balanced too. There is no "deficit" or "imbalance" of trade. Of course, if one measures how much food is sold, comparing the store's sales of food to the customer's sales of food, there will be a deficit. This is the same type of reasoning that the politicians use when using scare tactics regarding the trade deficit. "Sanders wants to keep the cap on taxable income for Social Security at the current $118,500 a year for those earning up to $250,000 annually, and apply the levy on all earnings above that amount. It would mean the top wage earners would pay more to extend the solvency of the program and expand benefits by $1,300 a year for people making less than $16,000, he said." How the Blockchain and Gold Can Work Together: A look into monetary history shows that people, when given freedom of choice, opted for precious metals as money. This doesn’t come as a surprise. "Fiat money has serious economic and ethical drawbacks, though. It is chronically inflationary, widens the gap between poor and rich, triggers boom-and-bust cycles, and compounds the economy’s debt burden. "